I’ve been a member of Waikuku Artists Incorporated for the last couple of years, this group is made up of artists (in any media) who who live, or have lived, at Waikuku. 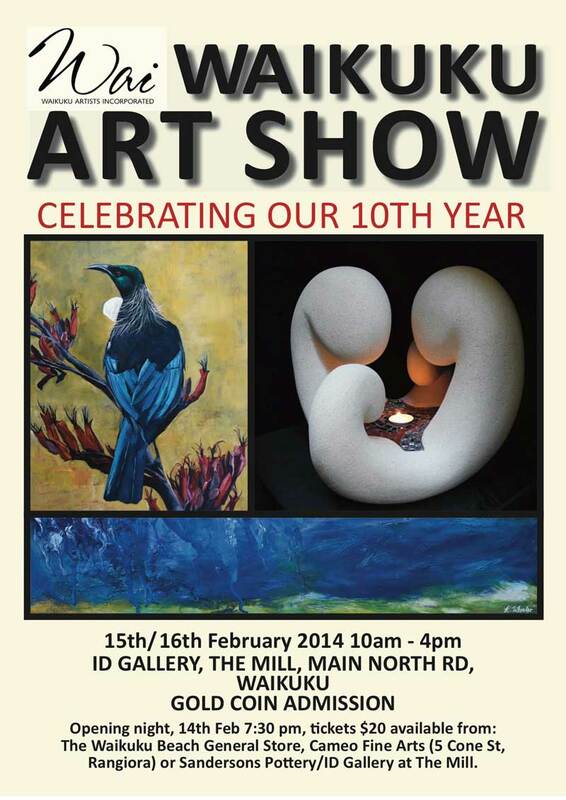 The WAI group is having its 10th annual exhibition over the weekend of the 15th and 16th of February. This year should be a real bumper show with past members and past guest artists adding to this always popular show.